Get ready to play a very simple alien shooter. Your character is based on a space ship, which has been invaded with aliens. 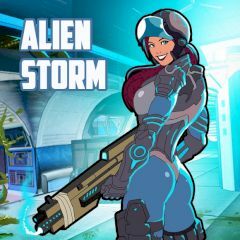 Grab a gun and clear the territory, shooting aliens and dodging their attacks. Point your mouse on them and click to shoot, reload and do it again. When you are done, watch results and try again to beat your own scores.